Life is stressful. Between a down economy, long commutes to a job you may not even like, and overbearing bosses, not to mention trying to eke out a few minutes of “me” time in between diaper changes and dinner dates with your significant other, life can be challenging. Equally apparent is that for decades we’ve been told that yoga can combat all of these stressors — and yet, it seems as if it is one of the last things people try to take the edge off. For Leslie Crespi, a social worker in Atlanta, it was the changes she saw in a colleague that got her to consider attending an Inner Engineering program of Isha yoga. A key component to the practice is the “kriya,” which Crespi describes to the Atlanta Journal-Constitution in an interview as a “process to energize and balance the human system using breathing. If the thought of having more balance and energy in your life sounds intriguing, the Isha Institute of Inner Sciences may just be for you. Nestled in Tennessee’s spectacular Upper Cumberland (45 minutes outside of Chattanooga), the retreat center offers daily campus tours that include light hikes, rejuvenating time spent in Adiyogi: Abode of Yoga (an energized meditation space), and a visit to the largest yoga and meditation hall in the western hemisphere. 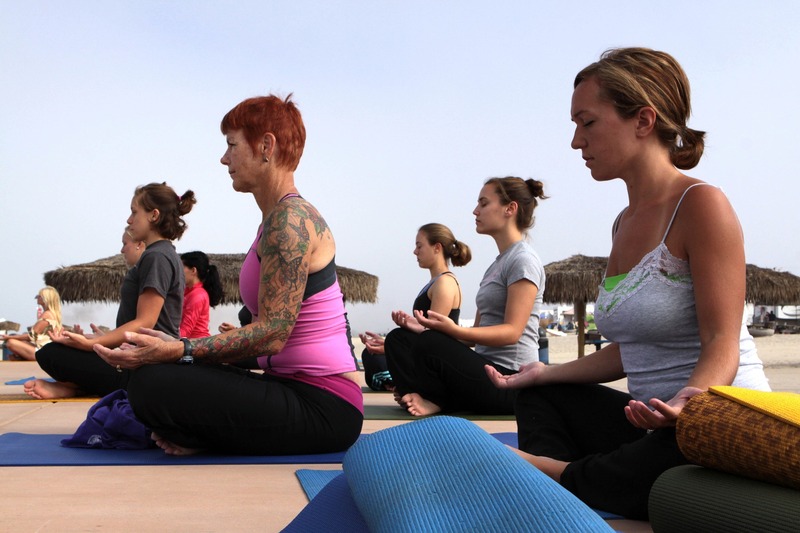 For day trippers, visitors learn yoga for free, if they arrive in the scheduled time for the session each day. Looking to stay awhile? An overnight includes the option of private studio accommodations, delicious vegetarian buffet meals, and an introductory yoga session of the visitor’s choice, such as the yoga of sound, yoga for strengthening the joints, and yoga for purifying life energies. The center also offers a myriad of opportunities for hiking and mountain biking on forested trails winding throughout nearly 1,400 acres. The center’s five miles of mountain biking trails feature waterfalls, a spring-fed creek, and bluff overlooks. And for those strictly interested in getting centered, there are beginning level yoga and meditation weekends, classical Hatha yoga programs, and individual wellness retreats. For more information, please visit www.IshaUSA.org.